U.S. Rep. Patrick Murphy receives endorsement from the Laborers' International Union of North America. 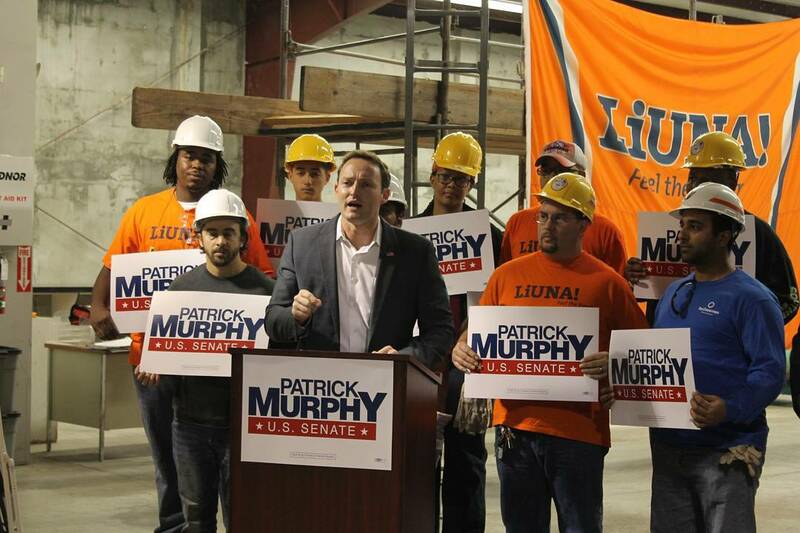 The Laborers’ International Union Of North America announced Friday it is endorsing U.S. Rep. Patrick Murphy in his bid for Florida’s U.S. Senate seat, strengthening Murphy’s hold on the labor union sector of the Democratic Party. The half-million member construction workers’ union announced the endorsement at its training center in Pompano Beach. The union joins the Teamsters and the AFSCME, which endorsed Murphy earlier in his contest with U.S. Rep. Alan Grayson and Palm Beach Gardens labor lawyer Pam Keith for the Democratic nomination. In a news release issued by Murphy’s campaign, Glenn Farner, business manager of LIUNA’s Southeast Laborers’ District Council said LIUNA picked Murphy because it believes he supports working families and “we believe that his commonsense approach to leadership is exactly what Florida needs right now. “Time and again, Patrick has proven that he will fight to protect our workers’ rights, fight for their hard-earned, high-quality union health benefits, and fight to raise the minimum wage,” Farner stated. 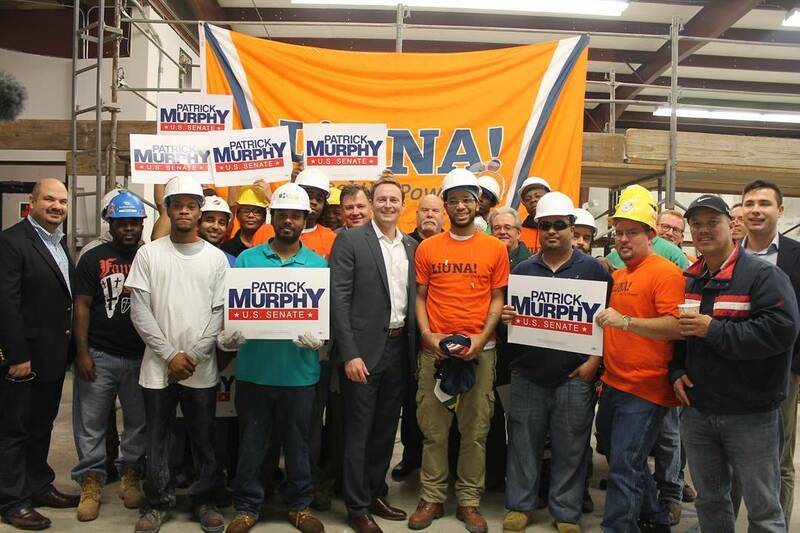 Murphy’s campaign stated that he is the only Senate candidate to have received statewide union endorsements, and now he has three.